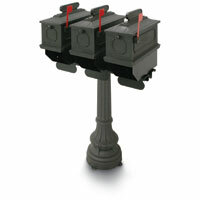 Maintenance free 1812 Plastic Triple Mailbox Packages made with communities and subdivisions in mind. 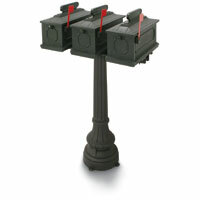 Leak, fade and weather resistant units that also feature newspaper holders and address plates. Contact a BudgetMailboxes.com representative for more information.